70% of people think foot pain is Normal. It’s Not. 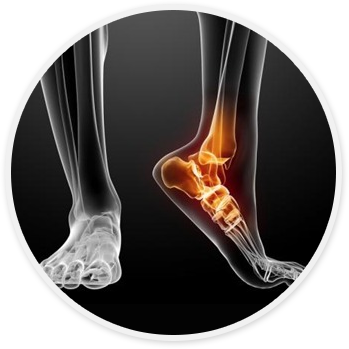 A custom orthotic is a device designed to align the foot and ankle into the most anatomically efficient position. They look like insoles, but are biomechanical medical devices that are custom made to correct your specific foot imbalance. Custom orthotics work on your feet much like glasses work on your eyes - they reduce stress and strain on your body by bringing your feet back into proper alignment. The graphite body of the custom orthotic helps to re-align the foot by redirecting and reducing certain motion that takes place during the gait cycle. Custom orthotics fit into your shoes as comfortably as an insole and they have the advantage of having been made from precise dynamic gait scans. Your health care practitioner can prescribe custom orthotics to help correct your specific foot and body imbalance. You can help your health care practitioner by providing details of any foot, leg, or back problems, and even by simply asking if your feet could be part of the problem. The more you wear your custom orthotics the more benefit you will get out of them. We will go over a treatment plan that ensures you wear your orthotics in the best shoes for different situations/activities to maximize their benefit. Custom orthotics work to realign the structure of your foot so you may feel pressure in some areas as the custom orthotic attempts to do its job. For this reason custom orthotics should be worn an hour a day, increasing an hour with each day for a period of 2 weeks. We recommend regular weight bearing activities the first two weeks however we do recommend not to wear the new orthotics for athletic games or workouts until the two week break in period is up. For the most part any shoe that has a removable insole will work with your custom orthotic. Just remove the insole that came with the shoe and replace it with the custom orthotic. Our clinicians are happy to discuss and recommend proper footwear at your appointment.